The third video of the fifth module is now available, in which we will talk about how to work with web services that don’t follow the OGC standards in gvSIG Desktop. These web services can be used to complement our maps with different layers. 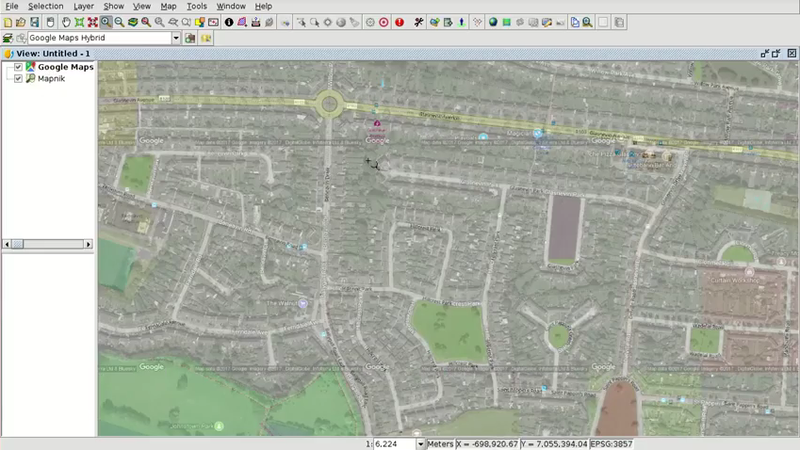 Among these services we have OpenStreetMap, with which we have access to several layers. for example streets, nautical cartography, railroads, or cartography with different tonalities that can be used as reference cartography on our map. Other available services are Google Maps and Bing Maps, where we can load different layers. The requirement to load these layers in gvSIG (until 2.4 version) is that we must have the View in EPSG:3857 reference system, a proprietary system used by these services. Besides, in order to load the Bing Maps layers, we will need to obtain a key previously, from the Bing Maps Dev Center. Once we have these services, we can add our layers, reprojecting them to the view reference system. In addition, many OGC web services, such as WMS, WFS …, offer their layers in this reference system, so we can overlap them on our Bing Maps, Google Maps or OpenStreetMap layers. This entry was posted in CAD, english, gvSIG Desktop, SDI, SDI, training and tagged Bing Maps, city council, Google Maps, municipality management, OpenStreetMap, OSM, SDI. Bookmark the permalink. I am not sure the place you are getting your information, but good topic. I needs to spend some time finding out more or understanding more. Thanks for fantastic info I was on the lookout for this info for my mission. Wow, amazing weblog layout! How lengthy have you ever been running a blog for? you make running a blog look easy. The full look of your web site is magnificent, as neatly as the content! You actually make it seem so easy together with your presentation but I in finding this matter to be actually something which I believe I might never understand. It sort of feels too complicated and very wide for me. I am taking a look ahead in your subsequent post, I’ll attempt to get the dangle of it! I’m not positive the place you’re getting your info, but great topic. I must spend a while studying much more or working out more. Thank you for excellent info I used to be in search of this info for my mission. whoah this weblog is great i love studying your posts. Keep up the good work! You realize, lots of people are looking around for this information, you can aid them greatly. you are in point of fact a excellent webmaster. The website loading pace is incredible. It kind of feels that you are doing any distinctive trick. Also, The contents are masterwork. you have performed a great job on this topic!